One of the most famous Western writers to have written about Burma, Orwell’s experiences in the country as an officer in the British Imperial Police force at a young age seemed to have shaped his literary career. Many critics believe that 1984 and Animal Farm are based on his experiences in Burma and disenchantment with the British Raj. The novel is a loosely veiled vignette of himself, disguised as a chap named Flory, who is in charge of a small outpost in rural Burma. He details the ennui of many of the expatriates British of the time; the lack of home comforts, the absence of ice for their ubiquitous gin and tonics, and the oppressive jungle heat. Flory is accompanied by a Burmese mistress, whom he dismisses after falling in love with young Elizabeth who arrives from Paris. Fickle though she is, she returns Flory’s attentions at times, and then devastatingly for Flory, falls in love with a dashing though ruthless polo player. 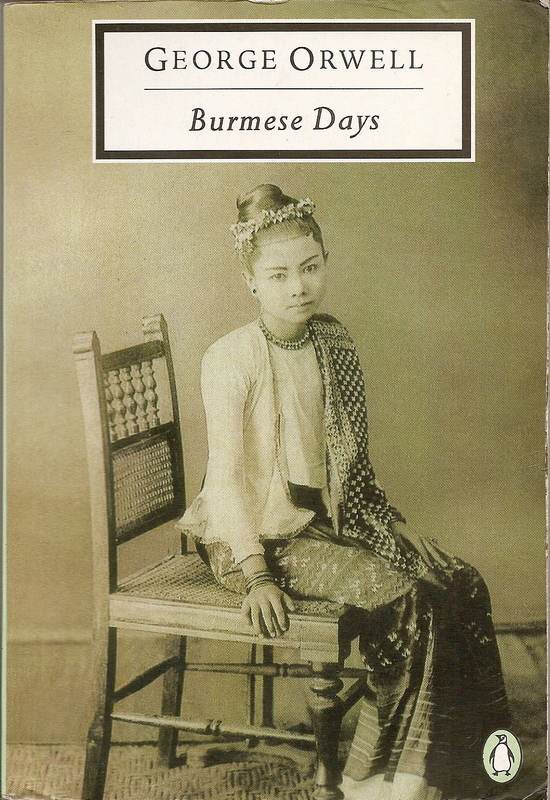 The love story continues until an unsettling end, but perhaps the more engaging themes are those of the Burmese laboring under the demands of the British, with glimpses of their hopes and dreams. Emma Larkin is an American expatriate who has resided in Thailand for many years, and has traveled extensively throughout Burma, even when the military junta made it next to impossible for foreigners to move about the country. Ms. Larkin published this book in 2006, when the regime still had a stranglehold on the press, foreign correspondents were not allowed into the country, and any statement that could be remotely interpreted as traitorous resulted in an indefinite prison term. She was able to travel extensively throughout the country using her limited Burmese, to try to understand the correlations between Orwell’s 1984 and Animal Farm and daily life in Burma. When she asked a Burmese man if he knew the work of Orwell, he replied, “Ah, you mean the prophet!” Ms. Larkin traveled from Rangoon to Mandalay, and to Maymyo, the Hill Station used by the British military as a respite from the summer heat. She found a remarkable network of underground libraries and learning, and a thirst for education that couldn’t- and hasn’t- been squelched by the regime. 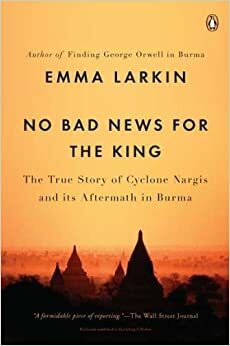 This remarkable book details the devastation of Cyclone Nargis in 2008, which killed over 100,000 Burmese and was little known by the international community. The crux of the book is the horrifying response of the Burmese government to the disaster. The regime provided no help to the victims of the cyclone and refused to allow the international aid community to enter the country. The US, French and British Navies had ships just off shore from the hardest hit areas to provide humanitarian relief, but were continually denied access into the country. The few relief cargo jets that made it onto the airstrip in Rangoon were forced to take off again prior to unloading precious supplies. It wasn’t until weeks after the disaster that aid workers were allowed in, but very few supplies trickled down to the most affected areas. 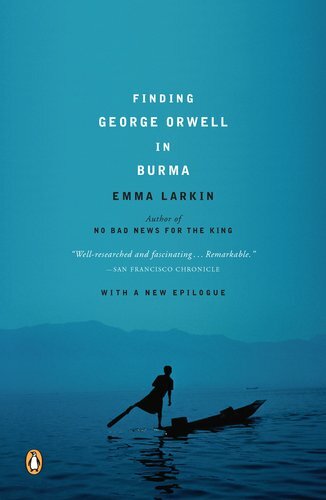 The remarkable part of this book is that in a culture where government censorship of the media paints only rosy pictures of daily life in Burma and that journalists are routinely thrown in jail for interminable lengths of time, Ms. Larkin was able to conduct clandestine research through a network of protective Burmese friends and travel to the hardest hit areas of the storm where no relief workers had come. She found that it was the Burmese themselves who took on huge risks to drive supplies from Rangoon to the Delta to help their countrymen, while the massive army stood wearily by. Her narrative again demonstrates the amazing resilience and willpower of the Burmese people.